A court in Pakistan granted bail to Zakiur Rehman Lakhvi, a commander within Lashkar-e-Taiba (LeT), an anti-India terror group based in Pakistan. LeT, under Lakhvi’s supervision, planned and executed the November 26, 2008 attack in Mumbai, India that resulted in the deaths of 166 people. At the time of those attacks, Lakhvi was believed to have been the operational head and main strategic planner for LeT. The Pakistani anti-terrorism court set Lakhvi’s bail at Rs. 500,000 (approximately $8,000). 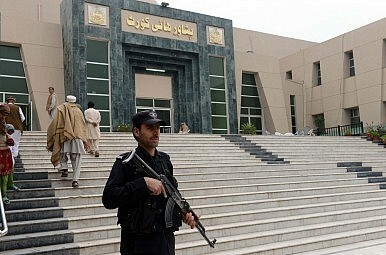 The decision to grant bail comes at a politically complicated time for the Pakistani justice system. In the wake of Tuesday’s horrific massacre a school in Peshawar, where over 130 children were killed by Tehreek-e-Taliban gunmen, Pakistanis of all political stripes are calling for a zero-tolerance approach to dealing with domestic terrorists. The Peshawar incident led the current Pakistani government to reinstate the death penalty for terror suspects. In Lakhvi’s case, there is the additional factor of whether the Pakistani government discriminates when it comes to terror suspects. For example, while the Pakistani government has acknowledged that the LeT plotted against India on its soil, Indian critics have accused Pakistan of disproportionate leniency when it comes to prosecuting and punishing terrorists focused on attacking India. Preempting such criticism in the wake of the Peshawar massacre, Pakistani Prime Minister Nawaz Sharif noted that his government would not differentiate between “good and bad” Taliban or other terror groups. The good news in Lakhvi’s case is that the Pakistani Federal Investigation Agency’s prosecutor disagreed with the bail plea, and the government is moving to challenge the court’s decision. “We are going to challenge the bail order of Lakhvi,” declared government prosecutor Chaudhry Azhar. At a time when the Pakistani government is under both domestic and international scrutiny for how it handles terror suspects, the decision to challenge the bail plea sends a positive message. It is likely that the bail plea will be overturned owing the widespread political pressure in Pakistan to show little tolerance toward terrorists. In the wake of reinstating the death penalty, both the government and the military in Pakistan are keen to demonstrate that they will “walk the walk” when it comes to dealing with terrorists. Pakistani Chief of Army Staff Raheel Sharif, arguably the most powerful man in Pakistan, signed death warrants for six “hard-core terrorists” on Thursday, and Pakistani President Mamnoon Hussain rejected appeals of mercy from 17 criminals convicted on terrorism charges on death row. Controversy as Indian Journalist Meets 26/11 MastermindTaking Stock of Pakistan’s Counterterrorism Efforts, 4 Years After the Army Public School AttackDos and Don'ts for Imran Khan if He Wants to Govern for 5 Years in PakistanHow Land Reform Can Help Reduce Terrorism in PakistanIs the Pakistani Judiciary Undermining Counterterrorism Efforts?